Flowing outside data into existing electronic health records can be a difficult undertaking, AHIMA says, but there are ways to make it work best. 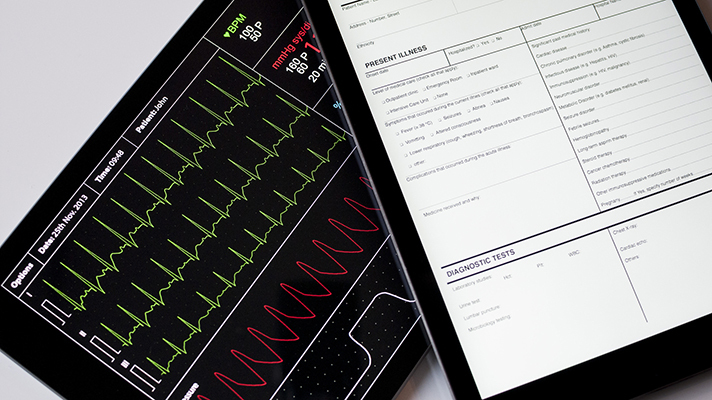 Remote patient monitoring is on the rise, but the challenges to flowing outside data into existing electronic health records are substantial. In the Journal of AHIMA, Kapila Monga, associate director of healthcare analytics at Cognizant Technology Solutions spotlights five key areas health information management professionals should stay focused on to optimize the integration of remote device data with electronic health records. Data integrity. It's critical, of course, that HIM staff determine "if, where and how" the myriad types of real-time device data – heart rate, oxygen level, blood pressure, glucose – be streamed in the EHR system, said Monga. But just as important "is the traceability of information back to point of collection," she said. Some of that challenge will be solved by technology as EHR systems evolve to accommodate the new imperatives of telemedicine. But HIM professionals will always have a central part to play when it comes to ensuring that remote health data is helping provide better care "without compromising the integrity of the EHR." Information usage. Connected health devices have one job: transmitting patient information back to the provider on a near-constant basis. It's up to HIM pros to figure out just when and how all that data will be put to work. As "gatekeepers" of this information, they're key to determining just what rules and alerts will be brought to bear on this massive stream of information, helping clinicians set up the right protocols, depending on the patient. "A sudden increase in sugar level for a non-diabetic person might not be an alarm, and could be just attributed to a sweet indulgence on the part of the individual, while the same spike in blood sugar for a diabetic patient could be a call for action," said Monga. Confidentiality. For all the potential clinical benefits of real-time 24/7 data streaming, it's "a ticking time bomb when it comes to data security." HIM staffers may not be the first line of defense when it comes to privacy and security, but they'll be key collaborators with infosec colleagues to create "proper protocols for how and when to analyze the information, how to identify and receive relevant information, and how to dispose of information when needed after analysis," said Monga. Lifecycle. The profusion of Bluetooth-enabled glucometers, remote blood pressure devices and more, all streaming varied and voluminous data, have hugely complicated the job of information management. "HIM professionals typically oversee the accuracy of health data, facilitate/perform audits, and facilitate information retrieval," said Monga. "They will have a very critical role to play in terms of designing protocols for managing the lifecycle of connected health data/patient monitoring data, including a role in audits of the health data, and in augmenting and supporting patient care." Governance. As the rules and regulations around connected health and its reimbursement continue to evolve – state by state, health plan by health plan – it's incumbent on HIM pros to "continuously update themselves on the legalities surrounding the usage of this data, as well as on reimbursements to provider systems for providing and monitoring care using this technology," said Monga.